The Gospel According To Elvis show is a unique concert featuring some of the best-loved spiritual songs performed by The King and comes to Mullingar Arts Centre on Thursday September 25. It was no secret Elvis was a spiritual man who loved gospel music. In fact three of his 14 Grammy nominations which appear in the show were for gospel recording - ‘You’ll Never Walk Alone, He touched Me’, and ‘How Great Thou Art’. In this special show singer Gary Gibson takes to the stage as Elvis in what has been described by the show’s producers as “a powerful portrayal of Elvis” in an “unforgettable night of iconic music”. Throughout the show audiences will also hear songs such as ‘Swing Low Sweet Chariot’ in an inspirational and uplifting performance. Gary, who is well known as one of the Europe’s foremost Elvis tribute singers, will be joined by the Bellaire Singers and Crawford Bell and The Memphis Showband. The Gospel According to Elvis is a unique concert featuring some of the best-loved spiritual songs performed by The King. 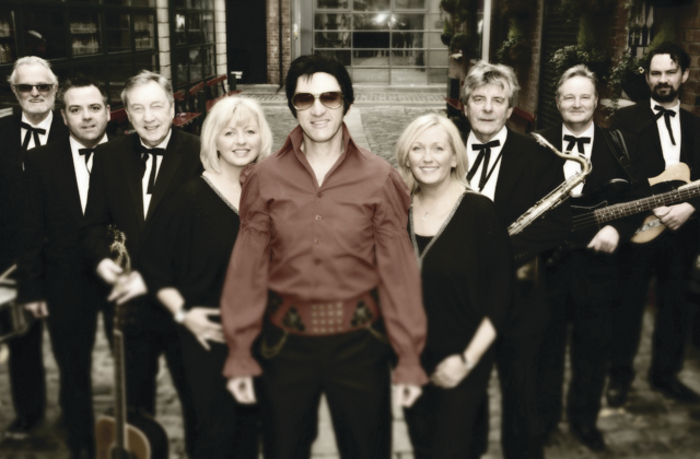 The Gospel According to Elvis comes to the Mullingar Arts Centre on September 25. Tickets are €20 and are available from the Mullingar Arts Centre by calling (044 ) 9347777.